Capt. Wayne holds a ‘big one’. Choose Captain Wayne Gatling for charter fishing on Maryland’s famed Chesapeake Bay and go after Stripers (Rockfish), Blues, White Perch, Spot and Croakers on the Upper and Middle Chesapeake Bay aboard the Lara Lynn VI. With over 40 years of experience running over 6000 fishing charters out of Rock Hall, Maryland, Wayne offers an exciting day of fishing on the Bay. If you’re looking for a Chesapeake Bay sport fishing charter out of Rock Hall, MD you’ve come to the right place. An ideal boat for sport fishing Middle Chesapeake Bay and Sport fishing upper Chesapeake Bay, the Lara Lynn VI, a 46′ Markley fiberglass Chesapeake bay semi-deadrise, is US Coast Guard certified for 26 passengers. 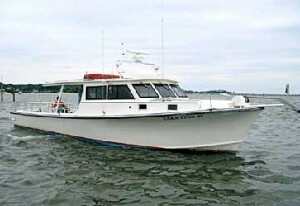 The Markley is a classic Bay fishing boat for fishing Upper Chesapeake Bay and provides a comfortable platform for all types of Bay fishing. 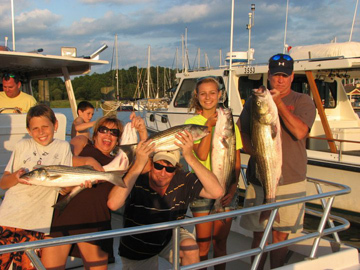 Middle and Upper Chesapeake Bay fishing charters are a great way to build family memories and Capt Wayne can help you make a great family moment. Join Captain Wayne Gatling on one of his Chesapeake Bay fishing charters and you will not be disappointed! 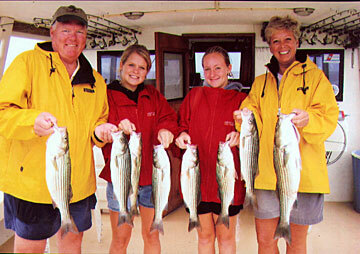 His Chesapeake Bay charters are sure to give you the fishing experience you will remember forever. Fishing in Chesapeake Bay is the best when Captain Wayne Gatling is by your side. 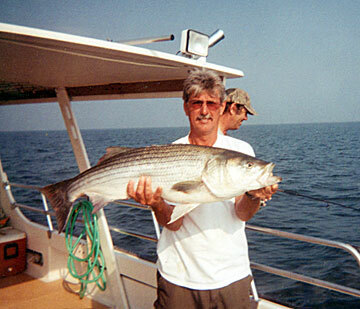 If you are looking for sport fishing in Rock Hall, MD Captain Wayne Gatling knows all of the “right spots” to catch that picture worthy fish. 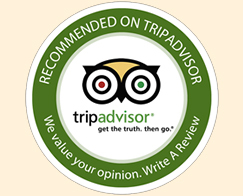 Offering fishing guides on the Eastern Shore, contact Captain Gatling today.